inXile Entertainment has released a new gameplay trailer for Torment: Tides of Numenera, showcasing several scenes throughout the game and focuses on the second of the company’s four pillars: A World Unlike Any Other. 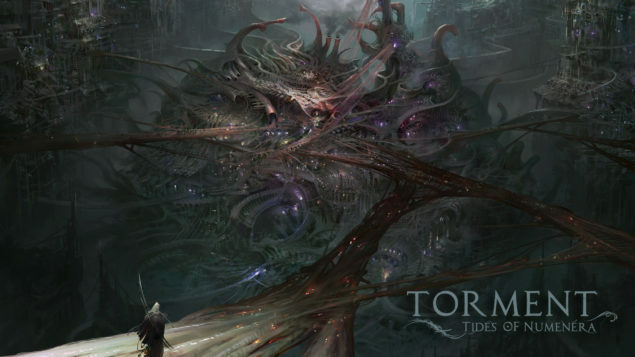 Thanks to its more than 90,000 backers, Torment: Tides of Numenera continues the thematic legacy of the critically acclaimed Planescape: Torment. Set in Monte Cook’s tabletop role-playing world, Numenera, the newest Torment asks: What does one life matter? With this #1 most funded Kickstarter video game, inXile is creating a rich RPG experience that explores deep, personal themes. Numenera’s Ninth World is a fantastic vision of a world in which hyper-advanced civilizations have risen and fallen and left their inventions behind. Their achievements became part of the accumulated detritus of eons… and now this assortment of ancient power is there for the taking. The humans of the Ninth World take and use what they can. They call these artifacts the numenera. Torment is a game of deep reactivity and immersion into a new and strange vision. You will chart a course through bizarre landscapes, across the face of a vastly different world. You can earn companions along the way, who hold a mirror to your choices. You will face adversaries who harness incomprehensible powers, and who will ultimately force you to face yourself and answer the question: What does one life matter? Torment: Tides of Numenera is being developed by inXile Entertainment for Windows, Mac and Linux. We will bring you any new information on Torment: Tides of Numenera as soon as it becomes available.